Human Knee is a very fascinating joint, which is subjected to large forces during daily and athletic activities. 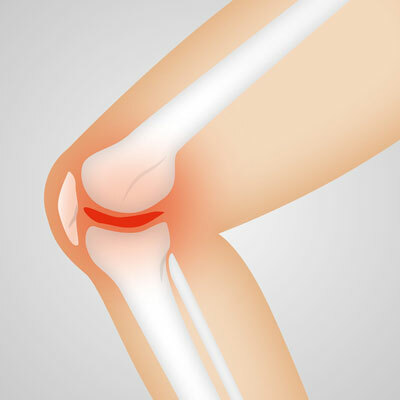 Moreover, the Knee is more likely to be injured than any other joint in the body. Knee is the most common joint to be involved in sports injury as well as in degeneration (arthritis). Even though most problems around the Knee Joint can be treated by conservative measure (without surgery), there are certain conditions in the knee which can only be treated by surgery. Problems related to the Knee are one of the common reasons why a patient seeks an Orthopaedic Evaluation. Health care professionals as well as biomedical engineers worldwide are involved in continuous research involving the Knee Joint. The bones involved in the Knee Joint are Femur (Thigh Bone), Tibia (Leg Bone) and Patella (Kneecap). The Knee Joint consists of three compartments formed by these bones articulating with each other. The Medial or Inner Compartment consists of articulation between the medial or inner side of the Femur and the medial or inner side of Tibia. The Lateral or Outer Compartment consists of articulation between the lateral or outer side of Femur and the lateral or outer side of Tibia. The third compartment is the Patellofemoral Compartment and it consists of articulation between the Patella and the Femur. The Knee Joint is protected by a fibrous tissue called the Synovial Membrane, which has multiple extensions called bursae. The Bursae of the Knee are the fluid sacs and Synovial Pockets that surround and sometimes communicate with the joint cavity. Thin-walled and filled with synovial fluid, they not only represent the weak point of the joint, but also produce enlargements to the joint space. The knee permits flexion (bending) of maximum 150 degrees and extension (straightening) of maximum 0 degrees about a virtual transverse axis, as well as a slight medial and lateral rotation about the axis of the lower leg in the flexed position. The Knee Joint is called "mobile" because the Femur and lateral meniscus move over the Tibia during rotation, while the femur rolls and glides over both menisci during extension and flexion. During the last 10 of extension, an obligatory terminal rotation is triggered in which the Knee is rotated medially 5. The final rotation is produced by a lateral rotation of the tibia in the non-weight-bearing leg, and by a medial rotation of the femur in the weight-bearing leg.